Elevate your contact center with smart telephony and omni-channel features for inbound contact centers, outbound dialing and/ or blended agent contact centers. Automatically pops a customer’s account information upon receiving a phone call (or chat, text, email, etc.) so the agent has a chance to find out about who is calling before answering the call. This saves customers time because they don’t have to manually look for customer records and gives them context (name, last purchase, status, etc.) about who is calling to provide personal customer service. 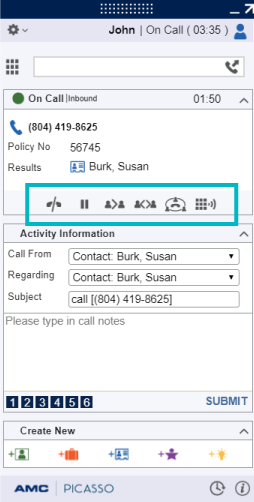 This turns phone numbers within Microsoft Dynamics into clickable links for agents to place outbound calls, eliminating the need for an agent to enter in a phone number manually. This not only saves the agents time, but ensures they are dialing the correct number. Telephony controls (hold, warm transfer, blind transfer, conference, etc.) are presented based on the status of the call and/ or the requirements of your contact center. This gives agents the needed controls right within the toolbar, eliminating the need to switch to other tools. 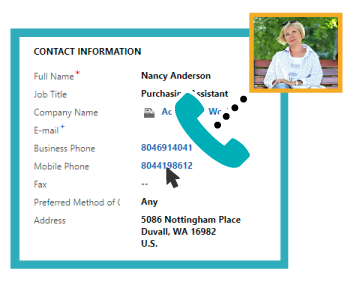 With automatic call and omni-channel logging with time stamps, agents can make knowledgeable decisions based on comprehensive and accurate data and access telephony and/ or omni-channel reporting directly within Dynamics CRM. Whenever a call is transferred to a different agent, the same account is populated to the next agent. This gives the agent receiving the call all of the information, so the customer doesn’t have to repeat information. A Dynamics Call Center Solution that is over 11 years old. 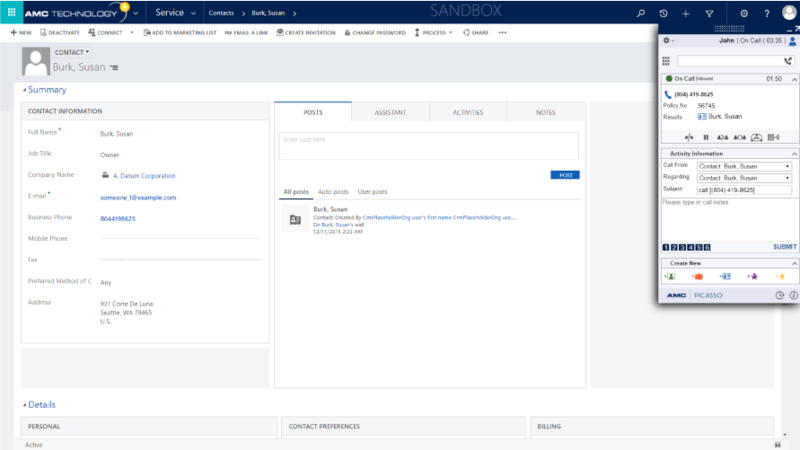 A peek into our integration for Microsoft Dynamics 365 with our Product Manager. 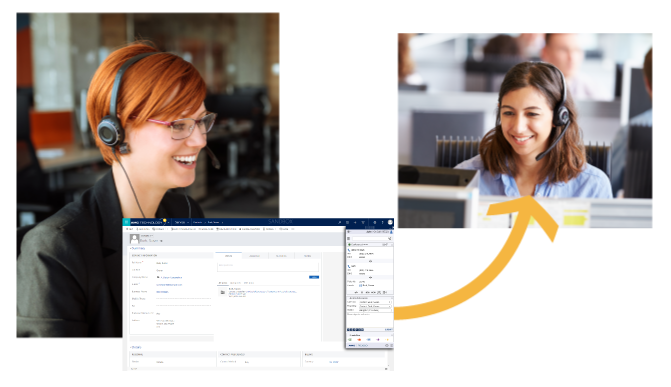 See how our integration for Microsoft Dynamics 365 including Skype for Business to Contact Canvas provides omni-channel capabilities within CRM and USD with access to web chat, collaboration, audio and video, in addition to telephony integration. Do you know there are limitations of your CRM, but aren’t sure what features are available to solve them? Check out these cheat sheet to find out more about these features that are available.